By accessing or using the Site, you consent to the Policy and Realtor Michael Jones collection, use and disclosure of your personal information as described below. Please read this Policy carefully. Realtor Michael Jones may amend and/or modify this Policy from time to time and without notice, effective upon posting on the Site. Your continued access and use of the Site after the Policy has been modified constitutes your consent to the Policy as modified. Information You Give Us: Realtor Michael Jones receives and stores any information you post on or provide through the Site, via My Property Finder and/or Market Report, or through any other means. This includes any personal information you provide, such as your name, mailing address, email address and telephone number. You can choose not to provide such information, in which case you will not be able to access or use portions of the Site. Realtor Michael Jones may, but is not obligated to, retain the content of any emails you send or information you provide by any other means. Automated Collection: Realtor Michael Jones automatically receives and stores certain types of information when you visit the Site, such as the name of the domain and host from which you access the Internet; the IP address of the computer you are using and the browser and operating system you are using; the date and time you access the Site, the Internet address of the website from which you linked to the Site and any search terms you used to find the Site. We use “cookies” to automatically gather some of this information. A cookie is a small text file that the Site sends to your computer to collect information about your activities on the Site. The cookie transmits this information back to the Site each time your browser requests a page from the Site, and the information is stored to help facilitate your use of the Site the next time you visit. You can set your browser to not accept cookies, but then you may not be able to access or use certain portions of the Sites. The Site is not directed at children, and Realtor Michael Jones does not knowingly collect personal information directly from users or from other web sites or services directed at children. 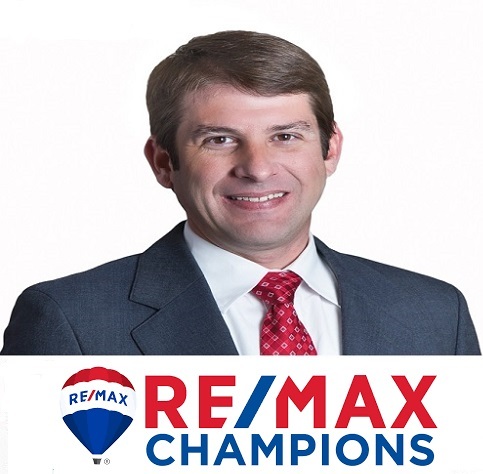 Consistent with the Federal Children’s Online Privacy Protection Act of 1998 (COPPA), Realtor Michael Jones will not knowingly request or collect personally identifiable information from any child under age 13 without requiring parental consent. Any person who provides his or her personal information to use through the Site represents that he or she is older than 12 years of age. If you want to view, delete or modify your personal information, you may do so by sending an email to [mike@forsalegreensboro.com]. You may also choose to opt-out of receiving future Property Tracker® email alerts or other emails by following the unsubscribe instructions included in email communications, or by contacting Realtor Michael Jones as provided above. Realtor Michael Jones reserves the right to verify the identity of any person making a request to opt-out or to delete or modify personal information; provided, however, that we will have no liability of any kind resulting from false or erroneous requests or any change or deletion made by Realtor Michael Jones for any reason. Personal information collected and transferred to back-up or archival storage may be retained indefinitely. Realtor Michael Jones may also retain unmodified information as necessary for business records and as required under applicable law. We take reasonable measures to protect your personal information in an effort to prevent loss, misuse and unauthorized access, disclosure, alteration and destruction. All Realtor Michael Jones employees with access to the personal information you provide to us, through the Site, via My Property Finder and/or Market Report or through any other means, are bound by a confidentiality agreement prohibiting the unauthorized disclosure and/or use of your personal information. If you have any questions about this Policy, please contact us at [mike@forsalegreensboro.com].